A contemporary garden design West Dulwich SE21 in a contemporary style with Massarandooba hardwood decking, rendered clean lined feature raised beds , bespoke design and built seating area and generous high quality artificial lawn.The rendered white raised beds and seat give the garden a fresh mediterranean flavour with two main social spaces. 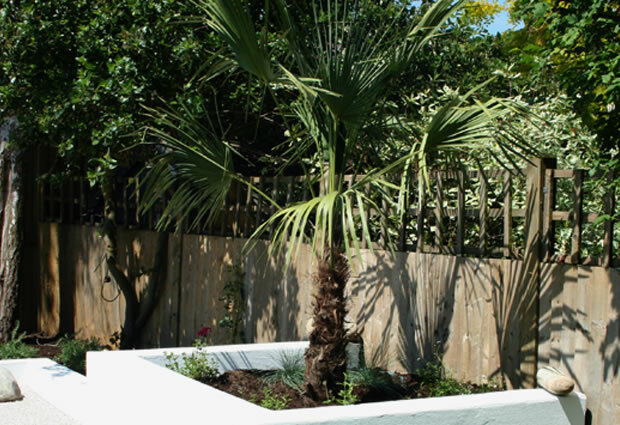 Mediterranean gardens usually have the characteristics of being fresh, light airy, with good lines and strong architectural planting. 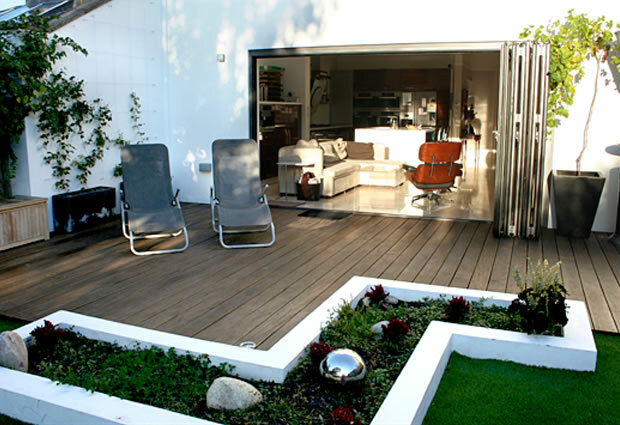 The hardwood deck extends from the interior increasing the sense space, working to increase the sense of space both inside as part of the extension and live dine space and outside where the deck becomes all part of the extension . The garden is acting like an outdoor room . The primary area is the generous Massarandooba hardwood decking terrace and with close proximity to the house ideal for dinning outside or using as a lounging area. 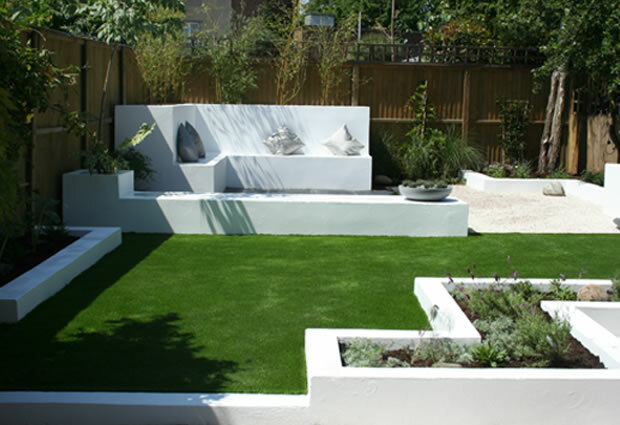 The secondary space has a bespoke built garden seat with and inbuilt bed that works for screening the flats behind. 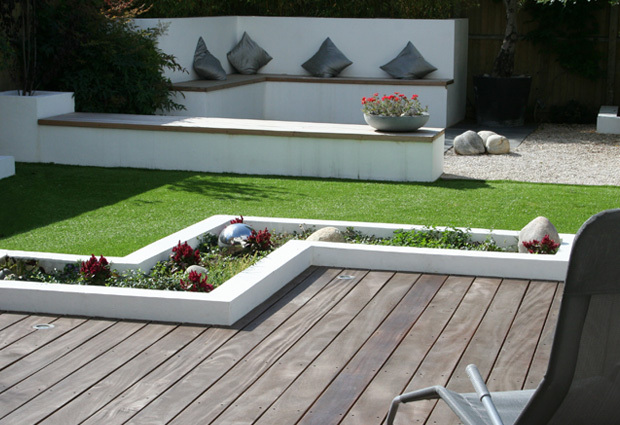 Bespoke fixed seating is great as it maximises the use of space and is versatile. I wanted to tie the two spaces together so created a central seat/bench. 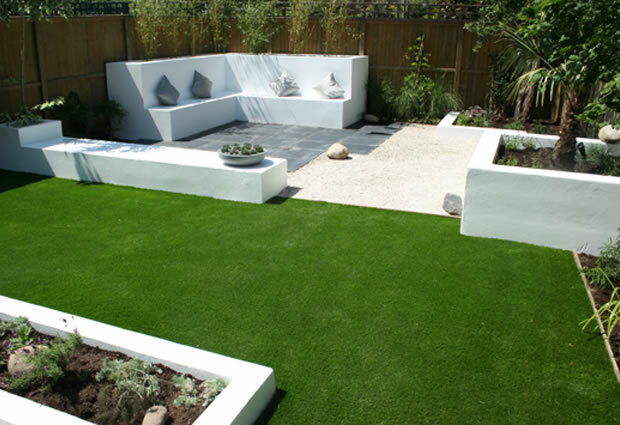 This brings functional use to the centre of the garden, so ideal for larger parties or just stretch out with cushions and relax. 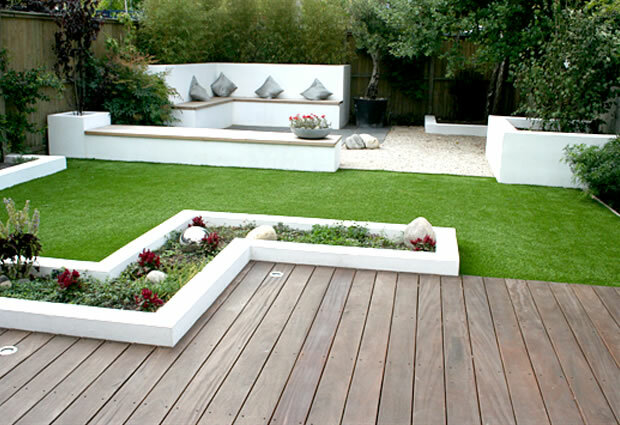 The raised beds for the architectural planting give balance and stature to the garden. 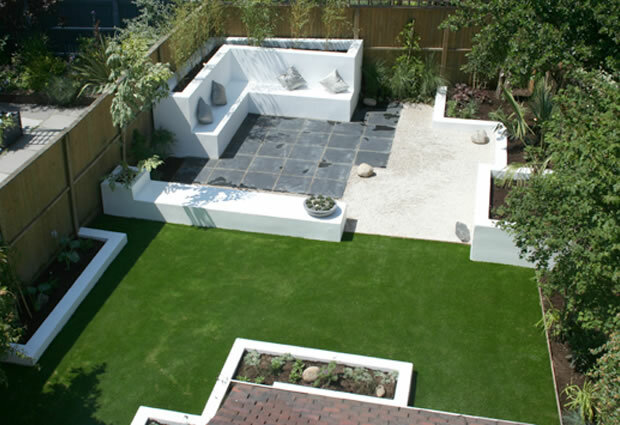 A very social low maintenance garden design, clean lines, architectural planting and artificial lawn. The garden lighting creating atmosphere , lighting key features and plants bringing the garden to life at night. 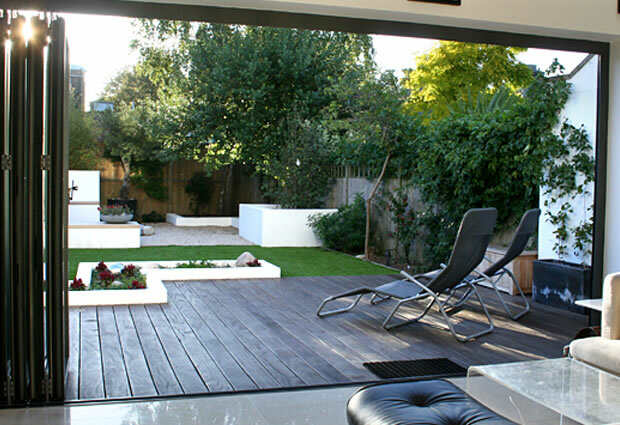 An ideal family garden who enjoy socialising and outdoor living ; the garden is multifunctional with dedicated spaces of use ideal for that sumer party !! For more examples of our work please feel free to browse through our portfolio page or vista our style specific pages . Feel free to call to discuss your project or arrange a site visit. We are happy to assist and give a free Consultation to help realise yu project .